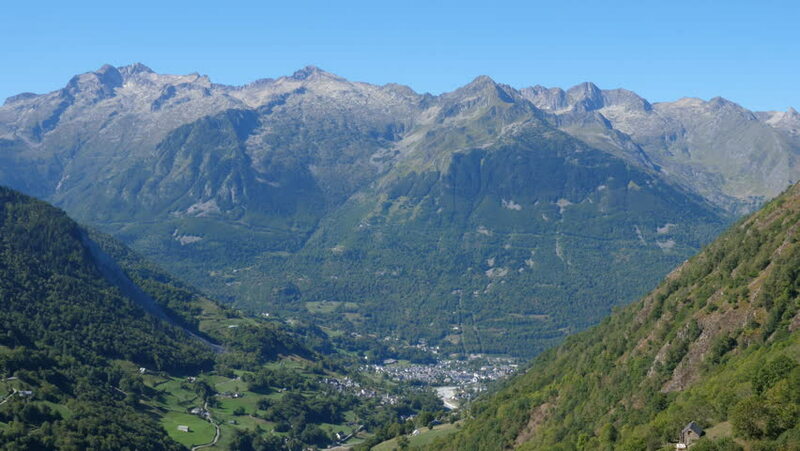 View of mountains with Luz-Saint-Sauveur at their base. Pyreness, France. 4k00:13Valley in the Pyrenees, France. View of Luz-Saint-Sauveur in the distance. 4k00:10The famous and iconic mountain called Sainte Victoire near Aix-en-Provence where many local people and tourists are trekking, South of France, Europe.